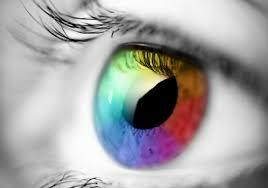 Human eye is a marvel of nature…!!! Absolutely a gifted one, its ability to capture a little portion, but the significant part of Electromagnetic spectrum enable us to visualise the colourful and appealing costume of the world we live. Our ancestors always admired the capability of eyes that we posses, as a result of this inspiration we the humans developed artificial eye or we call it with love as “Camera” or Photography Device. Too much philosophy..isn’t it? As the time advanced we have witnessed great developement in the field of optics, ancient B&W photogrphy/image processing to the modern SUHD images and still developing. HDR or High-Dynamic-Ranging is the term that is very well attached to the modern photography or that enhanced the beauty of pictures that we see today. 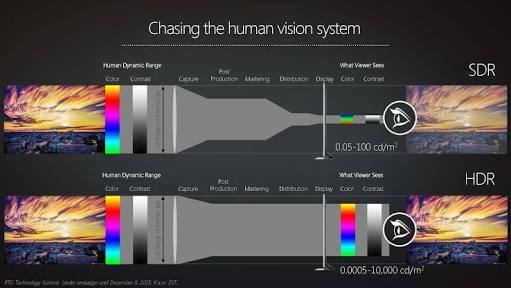 High-Dynamic-Range as the name suggest it is the photography technique in which wide range of wavelength from the visible region of EM spectrum are resolved/captured to bring the equivalent effect to that of Human eye perception. In simple words, the images are easy to be handled by the human eye and are easily resolved. HDR has now become an unevitable part in Smartphone Camera, DSLR and other photographic devices. Encoding images in a raw image format (usually .jpeg). To have a clear cut idea of the significance of HDR. Don’t forget to watch this video (since visuals are worth a thousand words).